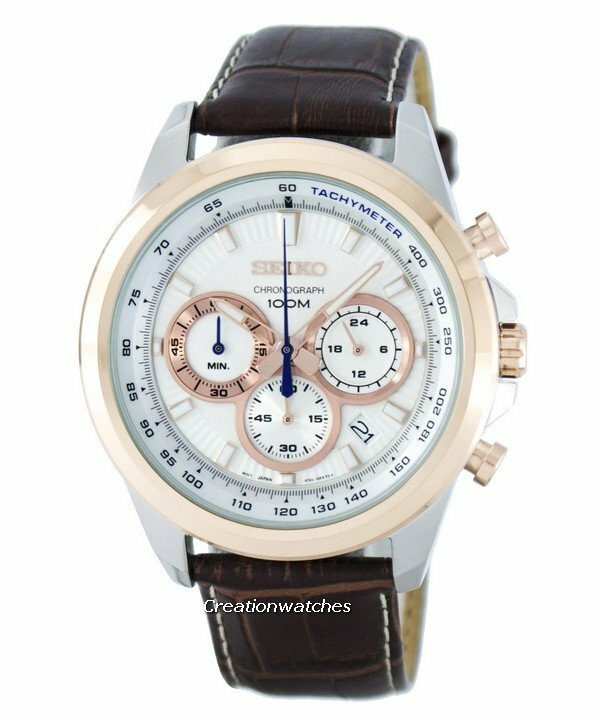 Home » Alarm » Casio Edifice wins the game again! 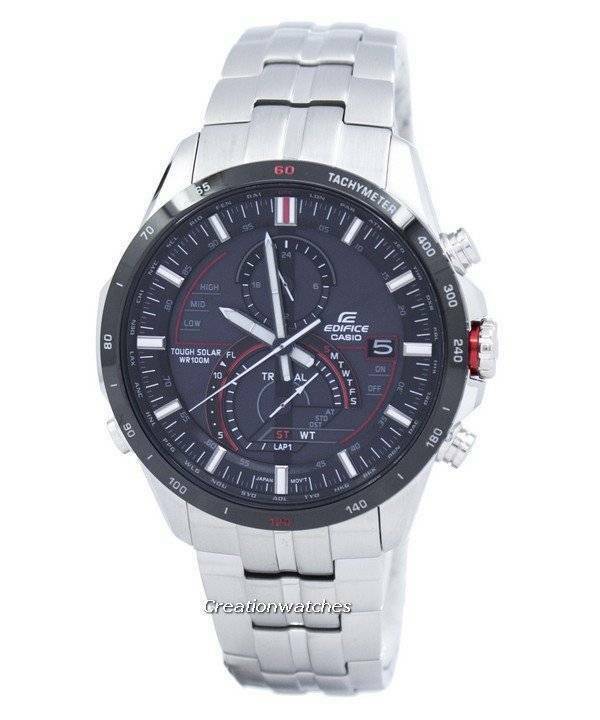 Casio Edifice wins the game again! Casio has been belting out real surprises for its Edifice line for quite some time. These refined cousins of their G-Shock lineup made possible wearing tech with your everyday clothes without being blatant about it. That’s what is most likeable about the Edifices and with their EQS line-up; things definitely turn a whole lot rosier. Now, as all of you know, I got a soft corner for Edifices but here I’m not talking out of any sort of personal preference. It’s my humble attempt to pen down facts that make Edifices absolutely great pieces meant for the modern go-getter and blimey, they suit you so well! Despite being chronographs, the EQS line brings a certain amount of pleasant visual complexity into the mix. The red and gold accents strike your eyes right away; if you are not into colors that much, there are also black and grey variations which go well with your everyday work wear. However, in my humble opinion, a little bit of blue doesn’t hurt either. It’s subtle and not overdone, but manages to mix things up in a very soothing manner. What I find to be most interesting is the brand’s aspect to the dials! They bring forth different layers, textures and angles; carefully placed to bring up that costly look to intrigue everyone around. The bracelets are also as upscale as more expensive watches and they do not make you compromise unlike so many watches in the same price range. The polished and matte surfaces pick up light in very interesting ways and minimizes fingerprints, which is a prime criteria for watches to feel dressy. 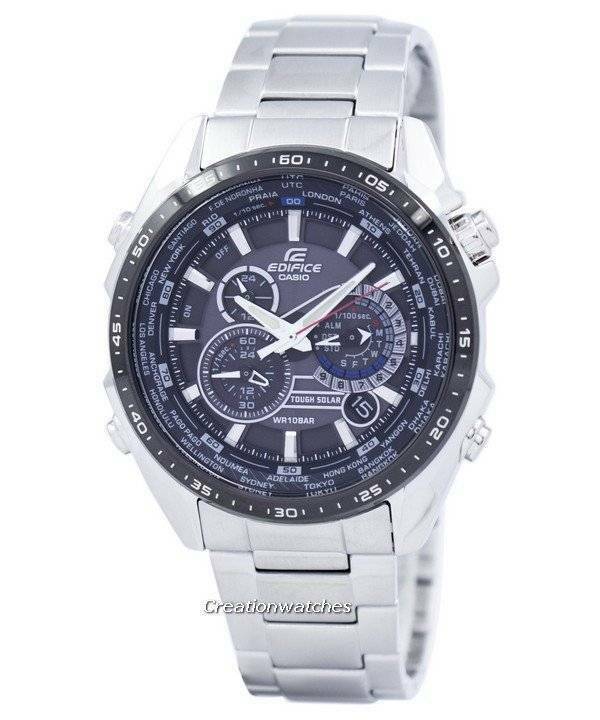 And due to this reason, you can call the Edifice EQS series perfectly fine watches to suit your everyday life. 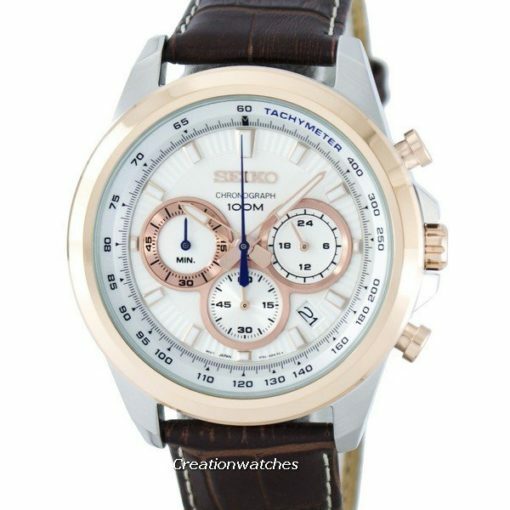 It’s quite surprising that you are picking up solar charging, chronograph complication, world time and power reserve – all at a ridiculously affordable price! These are watches that punch above their weight. It’s the durability of the G-Shock but less chunky and more stylish and equally robust and way dressier. These fine-enough pieces stand out esthetically with their layers and nooks-and-crannies of their dials and being solar powered, doesn’t leave you anxiously waiting for the batteries to run down at the time when you need them the most. Use the functions at your will, for solar charging facility equips it to respond to your every whim without even a little bit of complaint. The EQS series comprises a 5-motor chronograph that drives the 1/100-second chronograph besides displaying World time while the Active Racing line reflects distinctiveness from every angle possible, making it fit for both professional and weekend lifestyles. An aristocratic yet sleek style and alarm functions, exude an attractive and sophisticated look every time you put them on your wrist! Previous post Seiko’s shrouded diver: Reincarnated! Next post Flying high in yesteryear’s sky-scape!